Well here I am, 16 weeks since last chemo. Two months since radiotherapy finished. I’d like to focus on important stuff for anyone else in my position…namely rate of hair regrowth. I spent a lot of time googling this particular subject. Over the past few weeks I have (to my shame) used a tape measure to try to assess the rate of regrowth on my head. I’m lucky in that I was never totally bald but as can be seen in earlier blog posts I didn’t exactly have much. 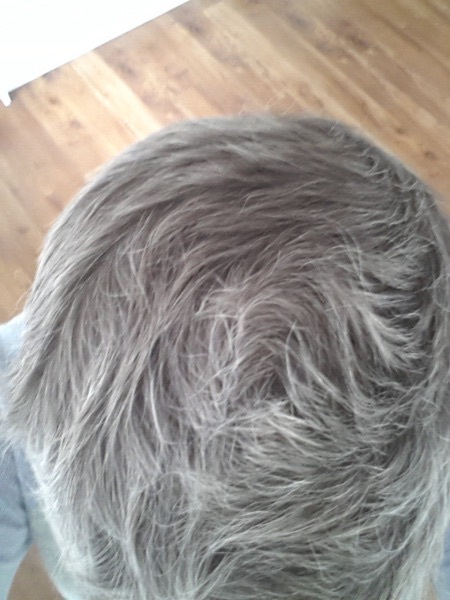 My hair is coming back quite thick but as can be seen is a rather surprising shade of grey and white. But I am so excited to see it, I thought I’d never get to this point. My Consultant says it is long enough to dye although bleaching it would not be wise as the hair is still quite fragile. I’ve used a semi permanent today for three-quarters of the allotted time, it hasn’t made much difference to be honest . However the whites seem less white now. I think I’ll have a proper pixie crop style by Christmas. Other hair: well it’s all back. I never thought I’d be pleased to see leg hair, but I am. Eyebrows: grew back by end of July. Eyelashes: back by end of July and almost back at full length. I’d spent May to mid July with one solitary forlorn eyelash. Facial hair: Well! Here’s a weird one. 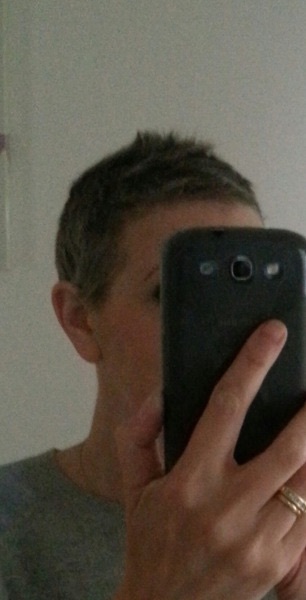 Chemo makes all the hairs fall out everywhere on your body. I’d never really noticed that there were tiny hairs on my arms and face until I realised they were growing back. What no one tells you is that chemo can cause a fuzzy type of hair growth all over your face-like the fine hairs babies have all over that drop off shortly after birth. I realised I had fuzzy soft furry cheeks and after a quick googling of breast cancer forums I was able to defuzz my furry face. It will be funny with hindsight…maybe. 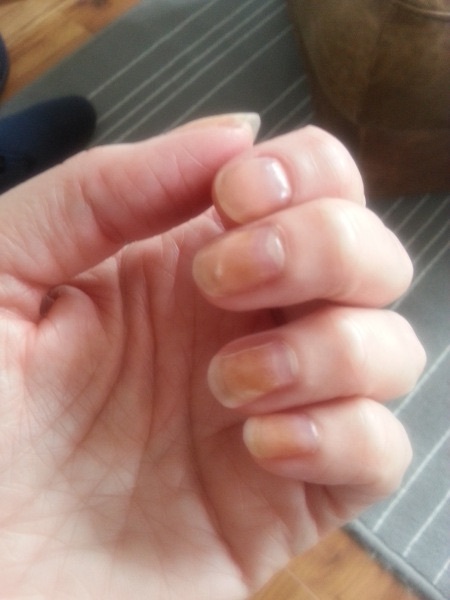 Nails: my nails struggled valiantly on despite my consultant saying I’d probably lose them. They then turned yellow, thickened and I developed several layers to them. One by one they fell off. You don’t notice how much you use your nails to open lids (eg shampoo) or scrape off price tags etc until you can’t do it. Couldn’t even open ring pull cans, still can’t. They are almost back at normal length now though. Physically though I feel quite good. Fatigue hasn’t been too apparent and I think that walking five days a week for 30 mins at least has helped. I’ve even gone back to work too, but that is for another post. ← Ann Allan: As Good As it Gets.